iGoldrush has been delivering domain news since 1995. 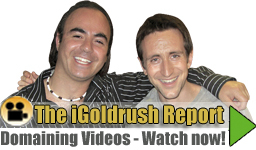 Paul Goldstone, CEO of iGoldrush just announced a re-launch of their news distribution with game-changing functionality that gives users access to domain news in an efficient method that they are already familiar with on Facebook and Twitter. Check it out for yourself by visiting www.iGoldrush.com, read through the current news, and when you reach the bottom of the page you will be greeted with a message that says “iGoldrush is mining the Internet”, at which point you are instantly and continuously presented with more news without ever having to leave the page. For 15+ years, iGoldrush has also provided a directory of resources and company reviews within the domain industry. They recently upgraded the directory allowing users to rate the listed companies which then ranks them in order of rating. 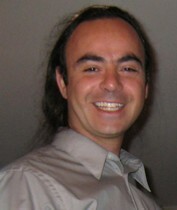 Goldstone said “This creates a ‘people’s choice’ directory, where your peers determine which companies rise to the top”. They also added the ability for companies to display their social media links, such as Facebook, Twitter and Linkedin, which is an essential addition in this social media world.